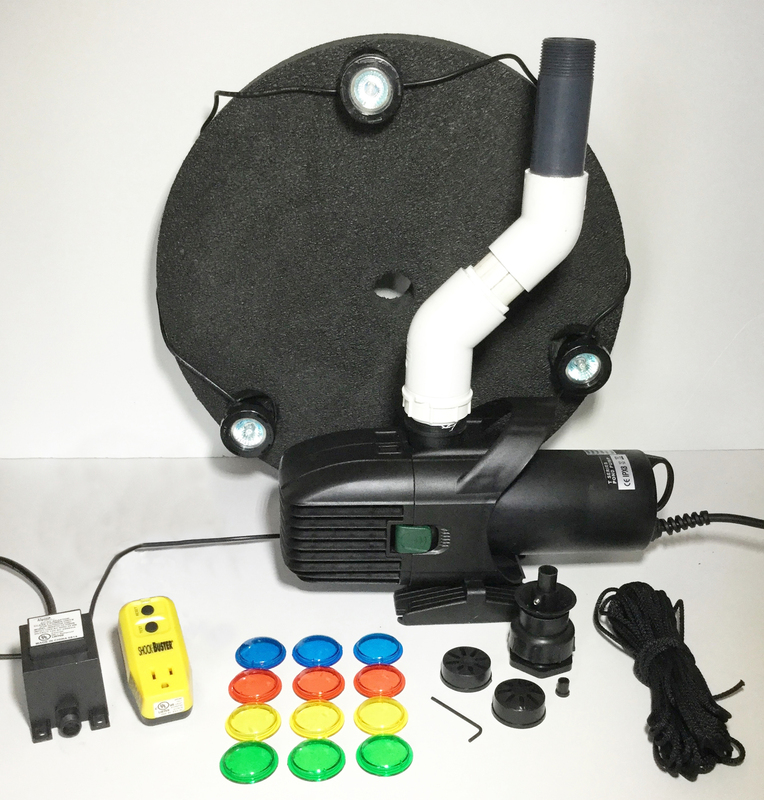 This exclusive light kit is one you will only find here at Fender’s Fish Hatchery! We’re proud to continue offering this light kit that is a customer past favorite and now, an exclusive here on the farm. This light set is the perfect compliment to the Fender Series fountain! 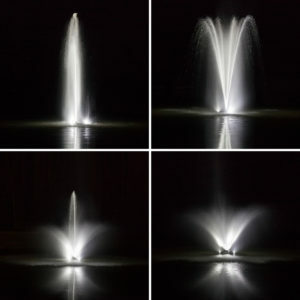 When you want to show your fountain’s spray pattern off at night, this lets you do it, and with a variety of colors as well. White, Blue, Red, Yellow, and Green are all available for any occasion and are easily changeable. 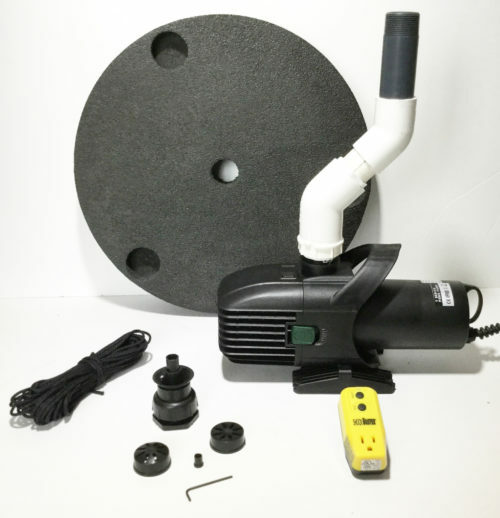 This exclusive light kit is one you will only find here at Fender’s Fish Hatchery! We’re proud to continue offering this light kit that is a customer past favorite and now, an exclusive here on the farm. You can special order up to 200′ of power cord, just use the contact form to contact us and get pricing and information. Check out the photos – see the nighttime display with this kit. Whether on display for passersby or for family and friends, you will love looking out your window or sitting on your porch and enjoying the tranquility of your fountain even at night. The photo shows the light kit with the fountain. This is a listing for the LIGHT KIT ONLY. For the Fender Series fountain, click here.